NYFA filmmaking alumnus Assaad Yacoub via IMDB. As Pride Month celebrations bring the LGBTQ+ community to the world spotlight, New York Film Academy had a chance to go behind the scenes with the creator of “Cherry Pop,” triple-alumnus Assaad Yacoub, who graduated from NYFA’s 2-Year Filmmaking Program in New York City before going on to complete both his BFA and MFA degrees in Filmmaking at NYFA Los Angeles. His much-buzzed feature film stars Bob the Drag Queen from “Rupaul’s Drag Race” along with Tempest DuJour, Latrice Royale and Lars Berge. 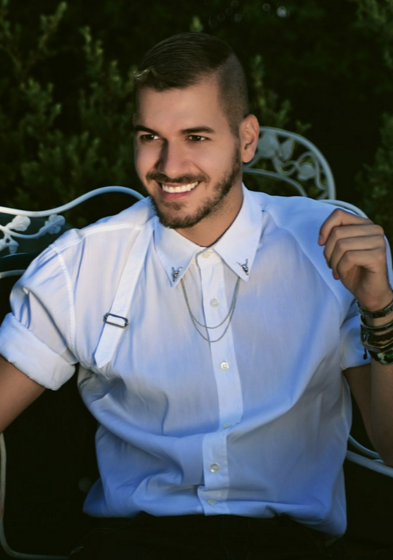 With a recent interview in NYLON and a busy schedule touring such film festivals as Outfest Los Angeles and the London International Filmmaker Festival of World Cinema, Yacoub took some time to talk with NYFA about his “Cherry Pop” journey. NYFA: Congrats on your feature film debut with “Cherry Pop”! First, can you tell us a little bit about yourself and what brought you to the New York Film Academy? AY: I’m Assaad. Nice to meet you! When I was younger, I would take our old school video camera and film my brother and my friends doing anything and everything. I enjoy the art of telling a story. It’s fun! I used to dance with a group in Dubai and that form in itself is storytelling. Then I went to art college where I majored in painting. I remember one of my teachers, Rachael Hines, and I’ll never forget this, told me to get the hell out of the Middle East and move somewhere that would actually allow me to succeed and have a career in my talents. At the time there was no “art scene” in Lebanon or the Middle East — no one took it seriously as a career pursuit — art classes were basically just electives not majors. Moving to the states was the best thing I could have done for myself and my future. That’s how I ended up at NYFA! NYFA: Your feature “Cherry Pop” started out as a student short film project at NYFA, can you tell us a little about the journey you underwent to turn that student project into a feature? AY: The feature was actually also a project I did at NYFA as my thesis in the MFA program. It started as a short film in 2013 and we enhanced it into a feature film by 2015. The short film’s success is basically what decided to make the film into a feature. The festival circuit showed me it was valuable to movie audiences and I decided to push forward with it. When I started my master’s program, from day one I knew I was going to choose the feature track and make this film. NYFA: What advice can you offer to fellow NYFA students eager to make their first feature film? AY: You have to be prepared. And even when you think you’re prepared you have to be even more prepared. Mistakes are going to happen no matter what. The more prepared you are the easier and quicker you will solve obstacles as you go along. Stick to one idea and go with it. Stick to your guns, believe in your idea and what you’re doing. Other people will then believe in you. NYFA: You mention in your NYLON interview that you were especially interested in showing a “day in the life of a drag queen” with “Cherry Pop.” Why do you feel it is important for people to have a chance to see that world? Why is this story so important to tell, at this moment in time? AY: It’s important because a lot of people just don’t understand what drag queens do and who they actually are. The topic is now more important than ever – the timing is perfect especially with transgender/LGBTQ+ community speaking out a lot more nowadays. It’s amazing to be a part of the bigger picture of it all. NYFA: Has the experience of working on “Cherry Pop” in any way transformed the way you approach filmmaking? AY: Yes. I learnt I do not what to produce ever again. Ha! — I’m sticking to directing! It was my very first feature film so there really was so much I didn’t know and was learning on the way. I learnt a lot about post-production and about what happens with the movie after you achieve distribution. A fun thing on set that was new to me was that we built the “Cherry Pop” sets. I have never experienced having full control of how the space was going to look, which was pretty cool. NYFA: Would you say your time at NYFA was helpful in preparing for your experience making “Cherry Pop”? AY: My time at NYFA was the only experience I had to prepare for “Cherry Pop” so yes it was very helpful! I think everyone should go through the feature track [in the MFA Filmmaking program] because the classes we took were invaluable. I wouldn’t have been able to do it without the help of Lydia Cedroni, Justin La Reau, William Dickerson and Mike Civille — thanks guys! NYFA: Are you working on any upcoming projects you’d like to tell us about? AY: In addition to touring with “Cherry Pop” nationwide, I am working on its TV adaptation. We just finished writing the pilot. I have a bunch of music videos coming up for “RuPaul’s Drag Race” Queens. Those should be lots of fun. I also just pitched and sold a web series to an online streaming platform. NYFA: Is there anything I missed you’d like to mention? AY: Ya! If you’re in LA on July 10 come watch “Cherry Pop” at The Harmony Gold Theatre. If you’re in San Francisco July 11, we will be at The Castro Theatre. Come! 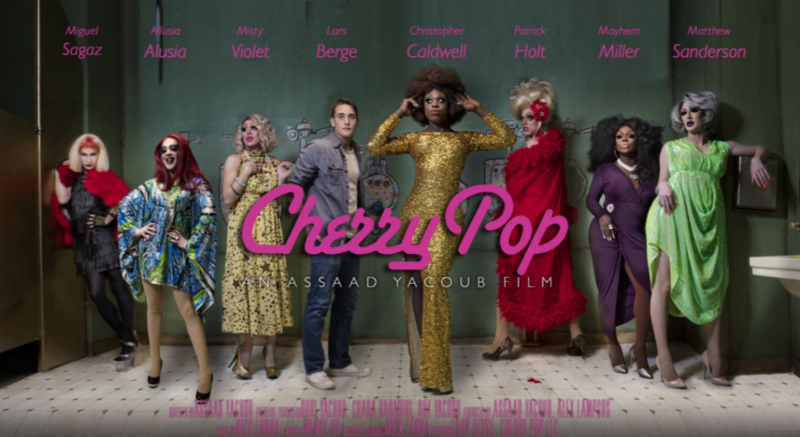 The New York Film Academy would like to congratulate Assaad Yacoub for the success of “Cherry Pop” and thank him for sharing his story with the NYFA community.